Flow North started out in High Level, Alberta. 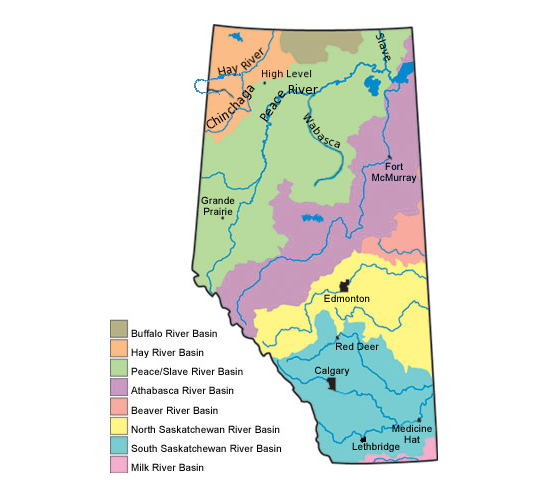 As such, we paddled all over northwestern Alberta, over 2 basins, the Peace River basin and the Hay River basin (see map at right). Since you might not know about these paddling opportunities, let’s tell you more! 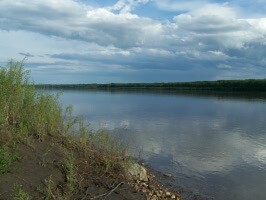 There are 4 main rivers, the Peace River, the Hay River, the Chinchaga River, and the Wabasca River. 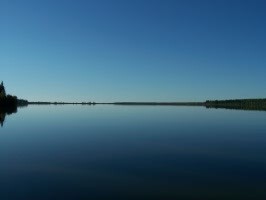 The Peace drains into the Slave River, the Chinchaga drains into the Hay River, the Wabasca flows into the Peace, and the Hay drains into Great Slave Lake. In fact, all water from these two major watersheds, the Peace and the Hay, eventually flows into the Arctic ocean via the Great Slave Lake and Mackenzie River. All the rivers around here eventually flow north, which is where we got the inspiration for our company name! All of the rivers and lakes are generally easy paddles (unless you choose to go upstream! 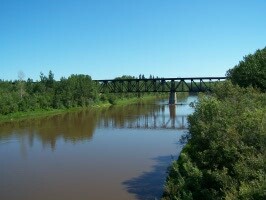 ), except the Wabasca River, which can have significant boulders and whitewater, depending on the water level and what section you paddle. For more information about the waterways and lakes, visit the trip details page. You may also like to compare the lakes and rivers we paddle. There is good fishing in many of our rivers! 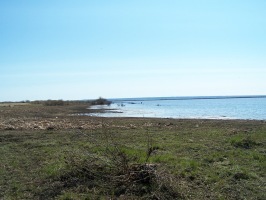 See this Sustainable Resource Development page for information about fishing.